View the 2019 Technology and Services floor plan to see what spaces are available to choose from. Sign up to exhibit today! Exhibitors will set up on Sunday, October 20, and spend the next 2.5 days interfacing with attendees. The Technology and Services Fair will be open Monday morning, October 21, through the closing reception on Wednesday, October 23, for a total of 11 scheduled conference breaks and meals in the tech fair area, including the opening and closing receptions. The last day to receive a refund for a booth is Friday, August 23, 2019. Two complimentary conference registrations and one discounted conference registration. Company information listed on the I2SL website and in the onsite conference program. Excel version of the pre- and post-conference attendee lists with contact information for all attendees, except those who opt out. More information about these services will be included in the Exhibitor Kit, which will be available by summer of 2019. 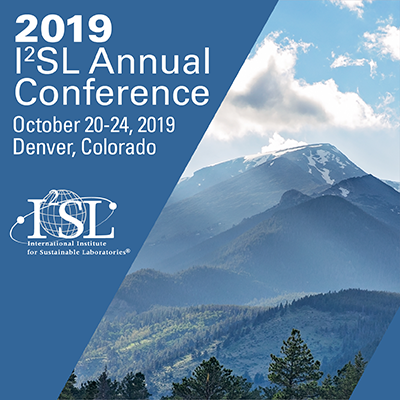 The I2SL Annual Conference attracts hundreds of laboratory owners, operators, facility managers, engineers, designers, and users from around the world. With over 500 attendees at each of the last few I2SL Annual Conferences, this event is a prime opportunity for you to get your message out and connect with the potential users, purchasers, and decision-makers who may be interested in your equipment and services. Admission to the Technology and Services Fair is free for non-conference attendees, so exhibitors are welcome to invite their clients to visit their booth space at no cost to them. Please note this free admission does not include refreshments or lunch served in the exhibit hall. I2SL will host the Around the World challenge again this year. As attendees visit the exhibitor booths they will be able to check off the organization names in the onsite mobile app and then submit the form at the end of the conference. Attendees who visit the most booths will be entered into a drawing to win a free 2020 I2SL Annual Conference registration. Exhibitors are encouraged to increase their visibility by becoming conference sponsors. We have some exciting sponsorship options and branding opportunities in 2019! All sponsors receive their logo in the onsite mobile application and on the I2SL Annual Conference page of I2SL's website. 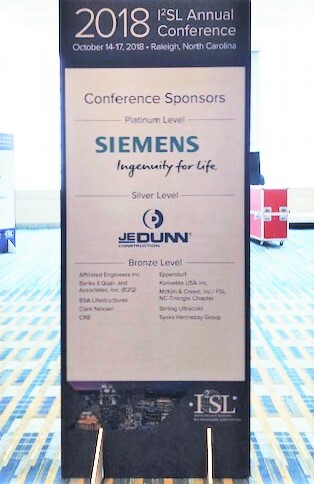 Other benefits (depending on the sponsorship level) include placement of the sponsor's logo on the conference entrance unit (pictured at left) and on I2SL's website, complimentary registrations, and Platinum level sponsors will receive a free booth. Learn more and sign up to sponsor today! There are a variety of materials available for organizations to promote their participation in the 2019 I2SL Annual Conference. When sharing conference activities on social media, attendees can use the hashtag #2019i2sl. Attendees can promote their conference participation by downloading the 2019 I2SL Annual Conference PowerPoint slide image and adding it to their presentation. Attendees can incorporate these images in their marketing messages or add them to their email signatures.